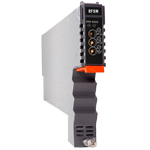 The RF A/B Protection Switch (RFSW) is designed to plug into PBN's latest generation Advanced Intelligent Multi-services Access platform - the AIMA3000. Providing reliable radio signal stability, the RFSW is an RF-based switching device designed for automatic or manual switching of radio signals. It maintains the RF output in the event of a loss or degraded signal of one of the two signals connected to its inputs. Engineered for high-isolation, the impedance-matched RF switch relay, is controlled by microcontroller-based logic circuits. This intelligent microcontroller manages the switch based on the detection of RF input signal levels. In addition, the switch can operate based on user-defined minimum and maximum RF threshold levels. 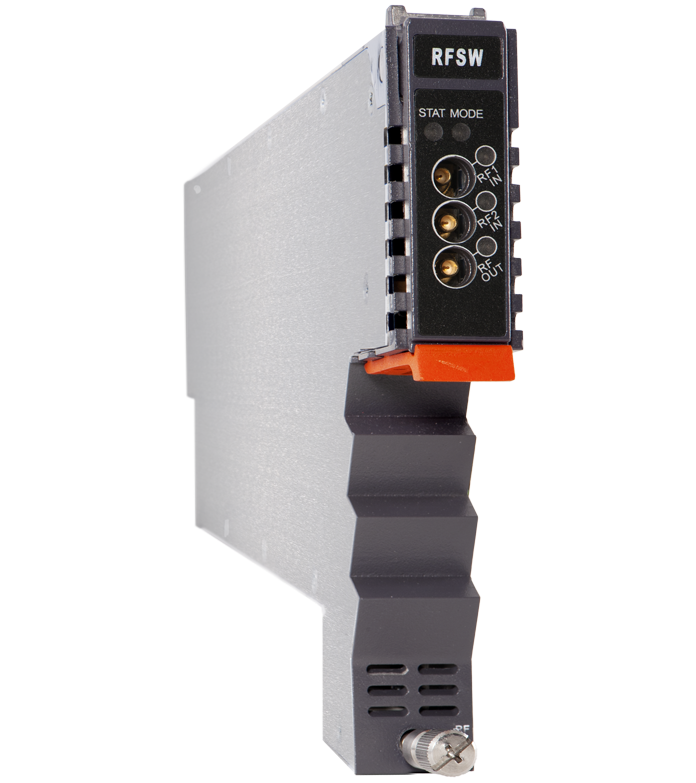 The RFSW switching module provides self-monitoring and communicates with the ASMM (AIMA3000 System Management Module) within the AIMA3000 chassis. The switching action may be set to by automatic or manual operation. When in manual mode, the switch can be controlled through the ASMM's Web Interface of through PBN'S NMSE. The module's microcontroller determines when to switch signals based on total RF power as commonly used in forward transmission, or based on pilot tone detection of a single frequency as specified by the customer.